What they Treat: Used to treat physiological symptoms of anxiety such as sweating, heart palpitations, tremors. This category covers medications typically used to treat psychotic disorders such as schizophrenia, and psychotic symptoms present with some mood disorders. 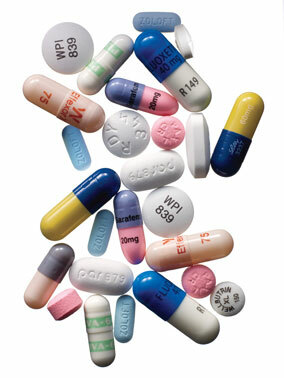 antidepressant medications, although more serious side effects are possible, especially with longer term use. These include tardive dyskinesia (abnormal, involuntary movement of the arms, legs, and head) and Parkinsonism (symptoms resembling Parkinson’s disease, such as muscle stiffness, stooped posture, and drooling). Antipsycotics may also cause sleepiness, rashes on the skin, seizures, and sexual dysfunction.